Under the Meezaab or aqueduct of the Ka’bah. In some other narrations places and instances such as Rukne- Yamani, Mataaf (where tawaf is commenced), near Hajr Aswad and on first sighting the Baytullah are also mentioned. Courtesy of Fisabilillah Publications, click on image for full view. Make Ramee, i.e. pelt all three Shaytaans after Zawaal. The Hajjees may now proceed to MAKKAH MU’AZZAM. Those who wish to remain in Mina on the l3th Zul Hijjah should pelt the 3 Shaytaans before proceeding to Makkah Mukarramah. The pelting on this day is permissible throughout the day (including the period before Zawaal). 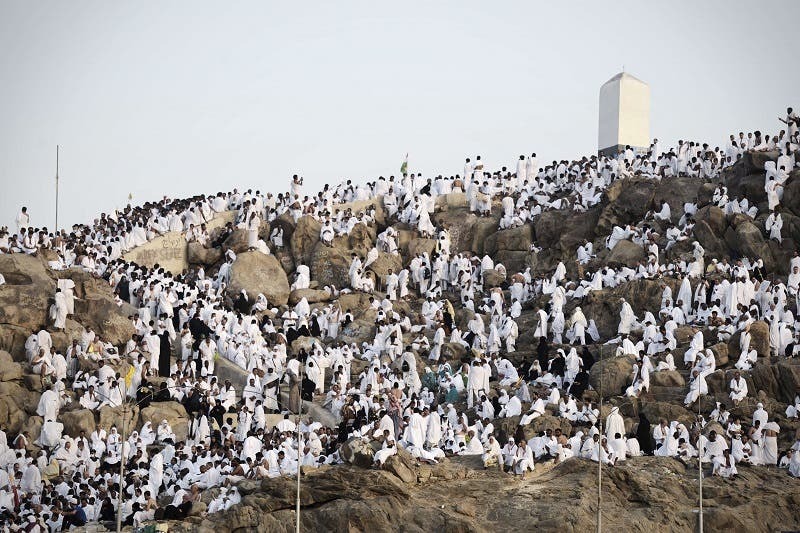 After sunrise the Hajjees proceed to ARAFAAT and make WUQOOF after ZAWAAL. Zohar and Asr Salaah will be performed here. Here they remain engaged in Du’aa, Zikr, Tilaawat, etc. until sunset. Immediately after sunset they proceed to Muzdalifah. Here they will perform Maghrib and Esha at the time of Esha. The night will be spent at Muzdalifah.